Looking for holiday inspiration? Even a day trip to North Wales can leave you bewildered with exciting options. We've been named 'Adventure Capital of the UK,' so let's take a closer look at some of the main activities you can enjoy when you visit our vibrant region. Chuffing through the valleys on a steam train is one of the most picturesque ways to enjoy the dramatic scenery. Once used for hauling slate, the trains now transport tourists up mountains, along lakes and through forests. The Ffestiniog and Welsh Highland Railway, along with the Snowdon Mountain Railway are particular highlights. There are so many great beaches to choose from, many proudly flying a Blue Flag, which is a guarantee of water quality and decent facilities. Beach combing, swimming, water sports, diving and sunbathing are activities you can enjoy, with stand-up paddle boarding on offer more and more. Pack your flip flops! Walking has many health benefits, and is the most accessible activity of all. Even a short stroll can lower blood pressure, and a hike up Snowdon will leave you breathless in more ways than one. North Wales is crisscrossed by hundreds of miles of public footpaths, and the official Wales Coast Path is 870 miles /1400km long. If you don't fancy tackling the whole route, you can take shorter, circular walks. With some of the best-preserved castles in Europe, North Wales castles are the place to discover Welsh history and culture. Conwy Castle and Caernarfon Castle are particularly impressive, but there are also plenty of smaller fortresses to explore, such as Chirk, Hawarden, Denbigh and Flint. The dramatic scenery lends itself to adrenaline-fuelled adventures – Zip World is now a globally recognised brand thanks to the longest, and fastest zip wires in the world. Bounce Below has underground trampolines, and Surf Snowdonia has an artificial surfing lagoon. Get Beach Boys on the stereo and set the sat nav for Dolgarrog. North Wales has inspired countless poets, writers, artists, musicians and sportspeople – how will it inspire you? Planning a break to North Wales? 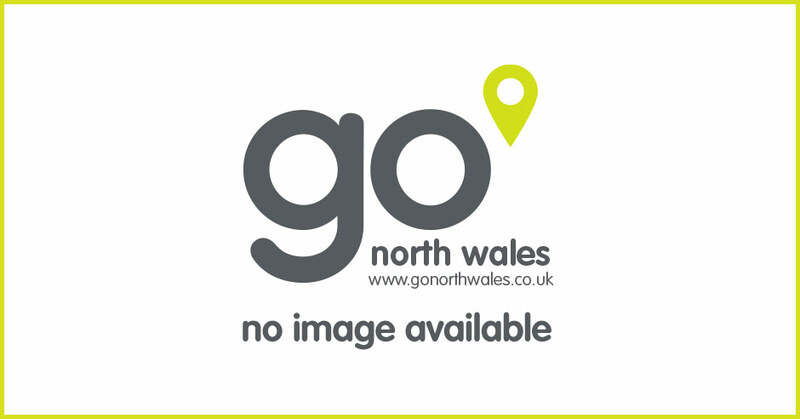 You'll find a great selection of products from the Go North Wales shop. Planning a short break in North Wales? We've prepared some perfect ideas to make your break unforgettable. Discover our great selection of blogs - ideal for learning more about North Wales. Porth Ceiriad is a sandy beach located on the southern coast of the Llyn Peninsula. Newborough beach is a long, sandy beach located on the south west of Anglesey.